Pin Lock Disconnect - 1/4" Barb - Liquid - Texas Brewing Inc.
Pin Lock Disconnect - 1/4" Barb - Liquid (Out) for a Corny or a Firestone Pin Lock Keg with a 1/4" barb connection. 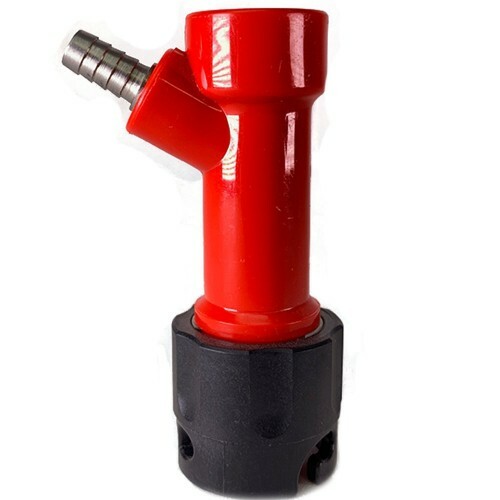 This is an Out (liquid) disconnect for a Corny or a Firestone Pin Lock Keg with a 1/4" barb connection. Connect directly to hose using a stainless worm clamp or 13.3 oetiker clamp.